I had some mental gymnastics when I was writing my recent Walking Dead review when it came to talking about the events of the season. When I write reviews I generally try to avoid spoilers, but on this occasion I just didn’t think I could write an honest review without giving away key twists and turns of the plot, all the way up to the last few minutes of the season. Very specific events and twists and turns were absolutely pivotal to my opinion on the quality and enjoyability of the show and I decided to post hefty warnings and have at it. The acceptability of spoilers in reviews depends on why people are reading. I like to think that people may read my reviews before watching a series and use that to decide whether or not to watch it. Part of the joy of a new series though is in the discovery. 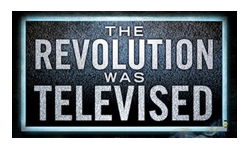 I can’t really get away with saying “it’s great, I can’t tell you why, but you should watch it”. I try to be vague and talk more about theme and style than about specific plot points that might damage the enjoyment of the show. On the other hand, I figure some people read my reviews because they are also watching the shows and therefore want to hear (heaven knows why) what I think of key twists and turns. I know I read reviews for both reasons. I guess in an ideal world I’d do two reviews, one for each audience, but I barely manage to get the few posts out that I do at the moment. So I need to find a line. It’s not the ‘simple’ spoilers that you have to worry about. It’s easy to avoid giving away spoilers like X getting together with Y on Grey’s Anatomy, or Z dying on The Walking Dead. Those are just facts and parts of the show that you can talk around – “the usual merry-go-round of relationships are to be expected from Grey’s and they’re as entertaining as usual”, “The Walking Dead continues to punch where it hurts with character developments”. The only time events like that cause me some mental anguish about whether to include them is if those events are done badly. Given their history and past relationship, does it make sense for them to suddenly fall in love. Does the character get a good death or are they just a sacrifice to clumsily move the plot along? Do the choices and actions on the screen match the universe of that show as we’ve come to understand it or is it a lurch for the audience? It’s no longer about spoiling a plot, but it’s about the quality of the writing of the show. Sometimes you can’t even describe what a show is about without spoiling a key moment from an early episode. 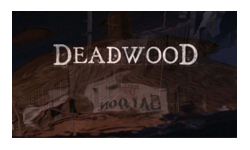 Many shows use the motif in their pilot of making it look like one thing is going to be case and then twist it to something more surprising. Several pilots have implied that someone is a main character, only to have them disappear by the end of the pilot. Buffy’s an example of that, but I’m going to use The Shield as an example because the twist is not just about characters but about the whole tone. The show ran 2002-2008, I figure if you haven’t watched it by now, you probably won’t, but if you’re in any doubt, skip the next paragraph. 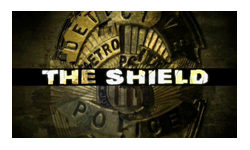 The pilot episode follows a group of police officers being not quite above the board. For the majority of the pilot the audience is led to believe that they’re bending the law for the good of the law; the only way to beat the criminals. Then, in the final minutes of the episode, they shoot a fellow office in the face. No mistake, no excuse. He was a threat to them and they murdered him. It’s an incredibly powerful moment and if you know it’s coming it spoils it completely. BUT without explaining that moment can you really explain what the show is going to be? Its not a show treading the familiar ground of cops occasionally stretching the law to keep really bad people off the street, its a show about criminals with badges trying to justify themselves while they make a lot of money. That distinction is critical to whether you’ll enjoy the show or not (I gave up on the show after a couple of seasons, not because it was bad, but because I just couldn’t take the darkness of it any more). But that moment of shock, desperately trying to work out if there was a reason that the seeming heroes of the show turned into remorseless murderers, that emotional experience is a television moment that has stuck with me a long time. I’ve just spoiled that. Less frequent, but even harder to deal with, are when things twist or turn at the end. If I don’t tell someone that the end of a season or even series is rubbish, then they could rightfully feel grumpy about wasting their time. The best example I can think of is most commonly seen in film rather than television, it’s the underdog sports film. The no-hope team of lovable losers, somehow get through to the big game… do they win or lose. Without mentioning any names at all, my favourite films of this type are when they lose. It’s more realistic. It’s also more nuanced and allows for greater emotional depth and reaction. But how do you review that? There is no way to obfuscate it – “The film is great, because after all the tension and the build-up the writers don’t go with the easy, predictable ending”. Now it’s like you’re sitting in an M Night Shyamalan film and you’re just waiting for the twist. I don’t know how well I succeed with my approach to spoilers. Frankly I write more for myself than anyone else anyway and don’t exactly have a huge readership. So I’ll stick with wavering around and erring on the side of caution when it comes to warnings at least. At some point I’ll get around to my thoughts on reading spoilers, which are even more complicated! Sky are giving me a birthday present. It’s going to be a day late (happy birthday me), but they’re giving me a channel all of my very own. Sky Atlantic premiers on the 1st February and it is like someone read my blog, worked out the kinds of shows I like, the kind of attitude I have towards television and catered it directly for me. It’s a bit scary. The channel will be a home for all the high quality television that comes out of the US but may not have the popular appeal that grab prime-time slots. Traditionally these shows end up buried in the schedules and often end up airing months, if not years after it’s been on in the US. Most of the shows are on subscription channels. I heard an interesting interview with David Simon (of the Wire) and he spoke eloquently about the fact that being on the subscription channels means you don’t have to get massive ratings, if you are good enough to persuade even a couple of thousand people to shell out extra dollars a month for the channel, you don’t have to get the 8million viewers needed to sustain a network prime-time show. Sky have bought the exclusive rights to HBO’s catalogue (minus a few with outstanding licenses on other channels, e.g. 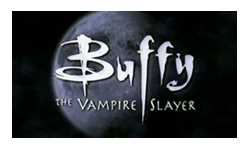 True Blood), this gives them not only current shows with massive buzz about them, but allows them to give people the opportunity to see older classics like Six Feet Under and The Sopranos. 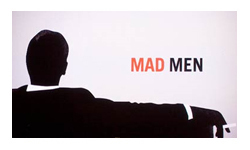 The lineup is not restricted to HBO, they’re already making a lot of noise about having the next season of Mad Men and that won’t even be on for 6 months or so. There are even a few network shows that are being promoted to the big leagues, the new Tom Sellek show Blue Bloods is worth a look. 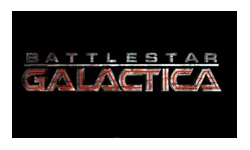 One thing that really startled me when I spotted it on the website was they will be showing Battlestar Galactica from the first episode. This is the perfect home for Battlestar, surrounded by critically acclaimed shows that very few people actually watch. Despite being science fiction it sits among these gritty dramas and dark comedies far better than it does on the SyFy channel. Sky Atlantic is a 24 hour channel and I wondered what they were going to pad the non-prime-time schedule with. Apparently the answer is a kind of high quality soapy daytime schedule of ER, thirtysomething and The X-Files. There are also plenty of mini-series and made-for-TV movies which so often sweep American award shows and yet never make it to UK channels. This is not going to be an easy channel to watch, these programmes are extraordinarily good… but often dark, gritty and complex. They’re not the kind of thing you watch with half an eye on your suduko. But they’re the kind of shows that really reward you for loyalty and attention, they’re satisfying and GOOD in a way that the more popcorn mainstream hits can only dream of. There’s a reason these shows win all the awards, they’re just in a different league and I for one am thrilled that Sky Atlantic is going to give them the respect they deserve. Sky Atlantic is on Channel 108 and available with even the most basic of Sky packages (although of course to get the HD you’ll need to shell out for that add on). Although it may appear like it, they’re not paying me to say nice things about them. But if they’d like to, I’d be open to it. What’s gone wrong with science fiction shows this year? It looked set to be a good year, with a spattering of returning shows and a good crop of new ones coming in. Sitting at the end of the year looking at the list though, there are very few successes, a lot of mediocrity and a couple of high profile failures. The most embarrassing failure of all has been FlashForward. 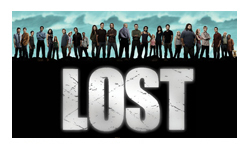 Promoted to death as the new Lost, launched with a pretty decent pilot it barely made it out of the gate before its ratings collapsed and the critics turned on it. For me there are three big problems with FlashForward, and they’re representative of what’s been wrong with some of the other sf shows this year. Yes, yes Mr Showrunner* you’ve got Big Ideas – parallel universes, complex analogies, virtual reality, fate and whatnot. You’ve also got a big budget and a giant marketing team. But you have to actually deliver that. If you’re presenting yourself as smart, you need to BE smart. I need to have confidence in the people that are making a show that they know what they’re doing, where they’re going and how they’re going to get there. It doesn’t matter if every episode is action and excitement melded into a perfect 45 minutes, if the next week you contradict everything that happened I’m rapidly going to get annoyed. But at the same time it doesn’t matter if you have an amazing plan for a five year series if every episode is really dull, I’ll rapidly get bored. It’s a difficult middle ground to hit, but it is achievable – go back to and watch Babylon 5. That’s how you create a masterpiece. My god there’ve been some boring characters this year! The lead character of FlashForward was just a kind of gaping, well paid hole where an engaging person should be. The cast of V looked so good on paper, but as it turned out by the end of the first episode the only ones I found interesting were the aliens (notably the Firefly duo of Morena Baccarin and Alan Tudyk). If on careful consideration I’ve evaluated your entire ensemble and have decided that in fact the best thing for you is to be eaten by the invading alien force, you’ve rather failed in your mission. I lasted half a dozen episodes and then gave up. Sure, the show is shiny and some interesting ideas, but if I don’t care about anyone, I’m not gonna bother. The other big failure of the year for me was Caprica. I’m a big fan of Battlestar and thought this could be really interesting – same concept, different setting, characters and philosophy. Six or so episodes in and I just couldn’t take it anymore. Battlestar was never exactly laugh a minute, but at least they blew stuff up periodically and appreciated a nice fist fight or sarcastic aside. Caprica was the most depressing, soul destroyingly slow thing I’ve seen in a very long time. Battlestar seemed to be about hope in the face of overwhelming destruction, Caprica was about doom in the face of overwhelming shininess. Caprica and FlashForward both got good pilot reviews from me and then failed to deliver. On the flip side, Stargate Universe got a poor pilot review and then I cheerfully ate my words for the season review. The Stargate showrunners have been at this a while and I should have had more faith. They pulled it all together – it was smart AND fun, happy AND sad, sometimes characters moved forwards, sometimes they moved backwards, but they actually seemed like real people who it would be interesting to have coffee with. The confidence from the showrunners was quiet and reassuring – ‘we know what we’re doing, just trust us’. I personally thought Defying Gravity had a lot of things going for it. I found it interesting and entertaining. This is one I think where the show was let down by everything around it – it wasn’t on the right network, it wasn’t marketed right and it was kind of doomed from the start. I think if it had been on the sci-fi channel we’d probably still be watching it, but Grey’s Anatomy in space was gonna be a tough sell. Warehouse 13 is a truly awful show. The plots are all over the place and the production is often terrible with poor blue screening and budget effects. But it somehow manages to actually pass all three tests and ends up being one of the staple shows in our house just because it’s so entertaining! The characters are likeable, the dialogue snappy, the stories follow on from each other and no one is taking themselves seriously, it’s like some sort of ugly mongrel that you can’t help but love. Joss Whedon’s Dollhouse should have worked. It has great characters, an original plot, some fun episodes and a showrunner with a built in fanbase and a lot of success under his belt. But, much as it pains me to say it, I think it failed on the smugness test. It put a lot of emphasis on the long term plot and asked for a lot of trust, which only those of us with an unhealthy obsession with Joss had any faith he could deliver. To everyone else the cocky attitude of “you’re watching something special and you don’t know it yet” was too patronising. Although I adore Supernatural, I find I have to also put this season into the “kind of sad” category, because it too failed a couple of the rules. It often drifted away from being fun to watch, the endless misery of the apocalypse does get you down after a while. The smugness also occasionally overwhelmed, it took the season a long time to get started, spending way too much time wallowing and mucking about before finally squashing a lot of plot into the final half dozen episodes. 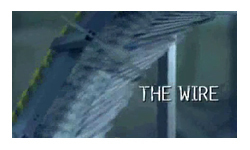 It’s a real shame, because I think the first four seasons managed a really good balance of the rules, I have high hopes for season six though. Of course the gaping hole in this review is the assessment of Lost. This year of television will probably be remembered as the year that Lost ended. But I can’t comment on it, because I stopped watching three years ago, when the smugness became too much for me. I don’t know whether it redeemed itself, maybe it really was as good as it purported to be. Maybe one day I’ll go back and watch it all again. Today is not that day though. * I did a check, although sadly imdb doesn’t seem to list ‘showrunner’ as a job title, despite the fact that it’s referred to in the press a lot, so I looked at ‘creators’ and ‘executive producers’ (and no I don’t really know what they do). Of the shows I have name-checked (and Doctor Who and Fringe which were mentioned and then edited out) in this article there are a total of seventeen people listed as show creators, only one is a woman (Jane Espenson on Warehouse 13). Of the 43 executive producers listed, there are seven women (including Jane Espenson again for Caprica). These are not good percentages people.